Loading the Hazard Hut is easy with the Hazard Hut Poly-Ramp. 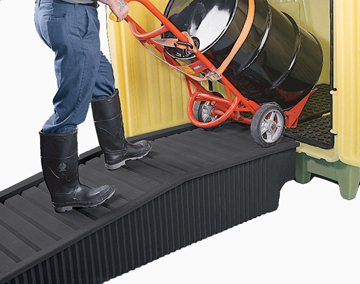 Loading the Hazard Hut® is easy with the Hazard Hut® Poly-Ramp. Just roll the barrels up the ramp and onto the platform! 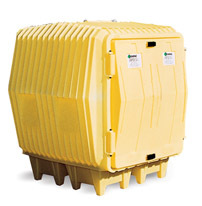 The Hazard Hut® Poly-Ramp features integrally molded handle. A 10 degree slope allows for easy loading. The surface is an ribbed and non-skid. This product is oversize and must ship with an LTL Carrier. All freight quotes are estimates only and do not include fuel surcharges that change daily. Actual rate may vary.